What’s Mr Panda up to? He’s busy wrapping presents! (We love his nifty wrapping paper with a doughnut print.) There’s a present for Mouse, and a present for Octopus, and a present for Lemur. Hurray! Everyone’s happy! Or are they? 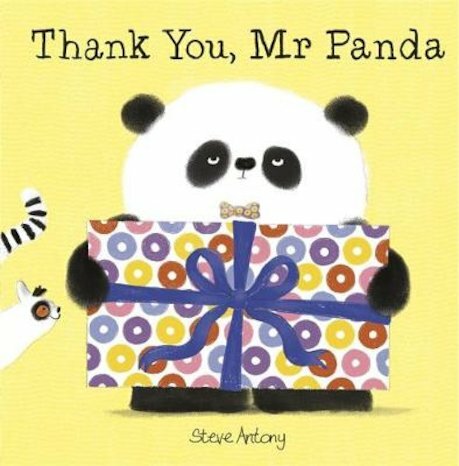 Thing is, Mr Panda isn’t quite as good at choosing perfect gifts as he is at baking yummy snacks. Uh-oh! When his friends open their presents and find that they aren’t quite right, will they realise that it’s the thought that counts?